For more than 30 years, NORD has led the way in voicing the needs of the rare disease community, driving supportive policies, advancing medical research, and providing patient and family services for those who need them most. 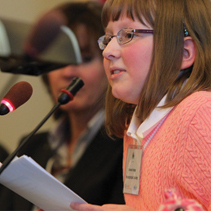 NORD works closely with advocacy partners on the federal and state level to encourage policies that are supportive of the needs of rare disease patients and their families. State Action View current State based actions. NORD IAMRARE Registry users share their thoughts on how their patient registries are benefiting their communities and how they are using the data. Your stripes were shown! See how the rare disease community worked together to make Rare Disease Day 2019 reach the world at large! Living Rare, Living Stronger will bring the rare community together with physicians, medical students, and allied health professionals for a program of learning, sharing and connecting. Patients, caregivers, and runners: sign up to get involved with the Running for Rare Team!